Jumpstart your career or get your foot in the door by applying for a sales, service or financing job at Legends Honda. Our Honda dealership near Kansas City, MO, is searching for talented and hard-working individuals who are looking to be a part of our growing team! As one of 20 dealerships in the Baxter Auto Group, which is locally owned, family operated and has served the Midwest with high-quality vehicles for more than 60 years, Legends Honda invites you to take your career to the next level! Visit our Kansas City Honda dealer at any point to speak with our auto professionals. Whether you end up talking with one of our well-tenured Honda service advisors or speaking with a new member of our sales team, you’ll see that all of our policies and procedures are rooted in respect for our most valuable asset: our employees. Stop by during our business hours to apply in person or check out our jobs at Legends Honda and fill out an online application. Whether you have years of experience as a mechanic, have worked at other dealerships or are simply looking to start a new and exciting career -- we want to help strengthen our team culture. 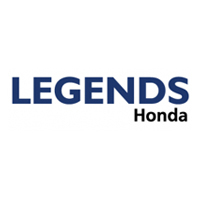 Contact Legends Honda with any questions about our open positions or fill out an online application to get started. For a challenging yet fulfilling career that offers a fun atmosphere and great benefits, apply for a job at Legends Honda.